FILE - , Seasons in Baltimore Pikesville opened for business in 2017. Queens, NY - Seasons, the kosher supermarket chain that declared bankruptcy last year, has new owners and is reopening one of its closed locations. The bankruptcy filing in September was big news because Seasons, founded in New York City’s Queens borough in 2011, had national ambitions. 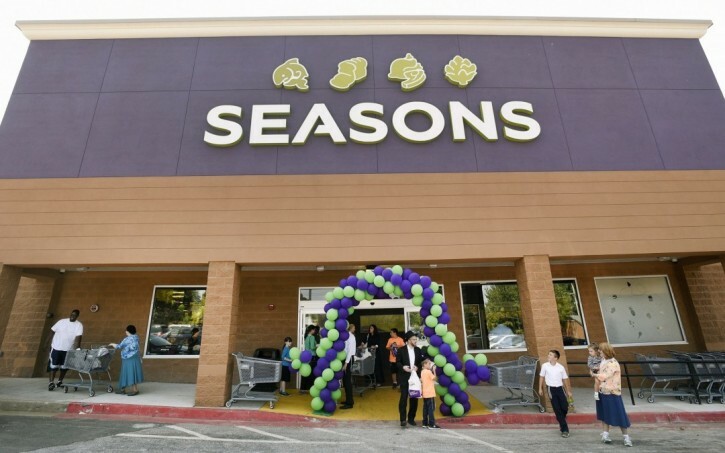 In addition to stores across the city, Seasons had opened a location in Maryland and was on the verge of doing so in Ohio. According to a news release sent Thursday, Seasons is under the ownership of the family of businessman Joseph Bistritzky, CEO of the Maramont Corp., a food services company. The Scarsdale location will be one of six stores to open, but the chain wants to make sure it can succeed in and around New York City, so national ambitions are on hold. The Upper West Side Seasons also will remain closed. In addition to Scarsdale and Queens, Seasons will continue operating stores in two New Jersey locations, Clifton and Lakewood, and two others in Lawrence in the heavily Jewish Five Towns area of suburban Long Island, New York. I hope the new owner realizes they need to lower their prices. There's a reason people stayed away from Seasons. Besides the few sale items, everything was crazy expensive. The key is cheap prices and top food or you won't get customers. Article is misleading. The Baltimore store is still open as it was purchased by Meat Maven and will be renamed if that hasn't happened already. Happened a couple of weeks ago. The prices were through the roof on many items . I only liked the free pasture meat there , reasonably priced . How could something "free" be "reasonably priced"? It's FREE! It is now called Market Maven. Also, the picture in the article is the Baltimore store.